Feel the ultimate rush of flying down the open road in the most exclusive cars on the planet - Ferrari, Lamborghini, Porsche and more. Become the "champion road racer" by conquering numerous racing events, all carrying rewards such as cars, tracks, and high performance upgrades. The game challenges the driver to dodge traffic, police, and natural elements in high speed and high style. And it's up to you to evade any cops on your path, since getting busted just might end your career. The all-out thrill of Need for Speed comes to the Game Cube. Push your dream car to the limit or get caught trying. This is the best game I have play love it thanks to Lukie Games you guys have the best prices I'll be ordering more.love this company. Love it. Game works great, and got here fast also. I love it.thank you Lukie Games. This is a good game that is fun to play . This is the way racing games should be. Great list of cars and tracks and don't forget the best part. The cops lol. Also very competitive split screen multi player. That's what today's Need for Speed racing games lack nowadays. Don't get me wrong online multi player is fun but, there's absolutely nothing better then beating your bud on the couch next to you. My son said, "He Loves It!!!" I bought this game for my nephew for christmas and this and another game was all the games he played for ps2. I am a adult and I like to play it too. Great game ! This is an awesome game. My husband and I play this in the evenings. Great game. 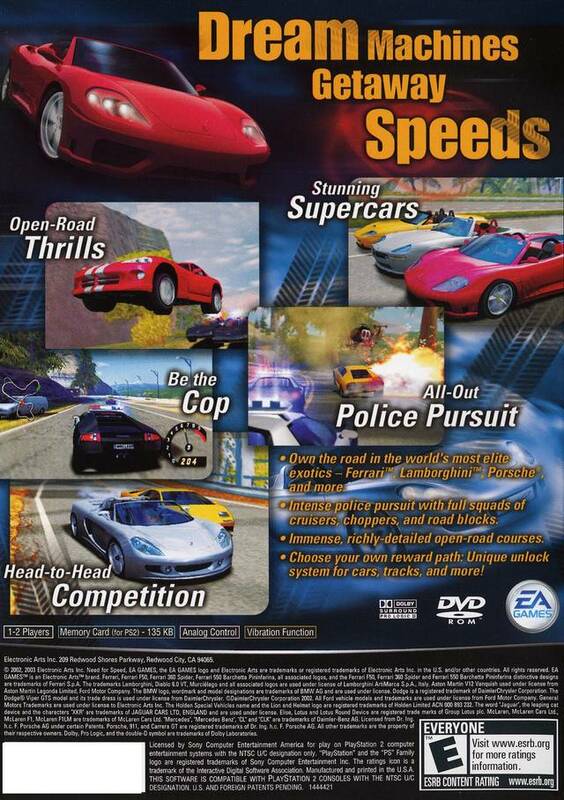 Favorite game to play with friends, be the cop or the speed demon! This is truely another win for the NFS game collection and in my opinion the best! This game works good, even though there are some scratches on disc. Great game. The best NFS game I have played. The smooth handling and engine audio effects of the cars is very realistic and taylored to each individual brand of automobile to be more authentic. The visual graghics are excellent for every track environment. I like having the option of racing with or without the cops in pursuit. The Grand Turismo series has always been my favorite racing games but this game is not far behind. The replays should have been full screen instead of cropped. It is challenging fun to advance through the game levels. I would recommend it to anyone who enjoys auto racing. Best NFS Hot Pursuit Game Yet.. 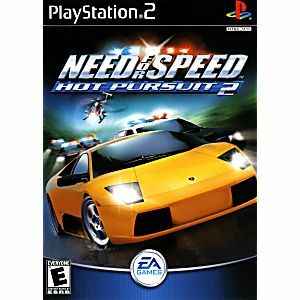 Being need for speed hot pursuit 2, it is everything its predecessor (need for speed hot pursuit ps1) was, and better. 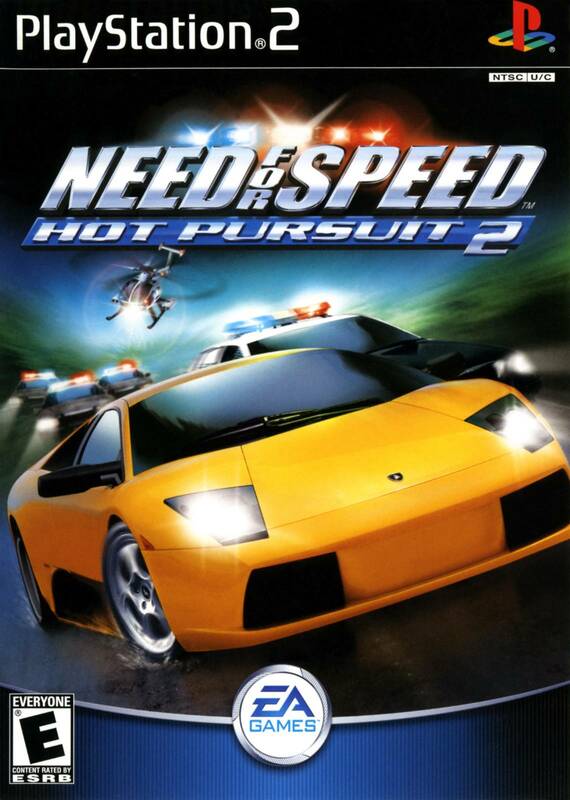 If your looking for a good sequel to Need for Speed Hot Pursuit, this is it. Game has a points system used for winning races, over 65 unlockable cars, 35+ Racing Maps. Includes championship racing modes, hot pursuit mode (outrunning the police), Being the Cop Mode, where you Catch Speeders, challenge modes and free run modes. There is alot of unlockable stuff in this one, and its definatly need for speed fun!